Woven from 100% wool by experts in India gives the Taza rug an authentic backstory and the great quality you expect from the motherland of rug-making. Each colour option has been finished with an accent colour border for striking contrast. 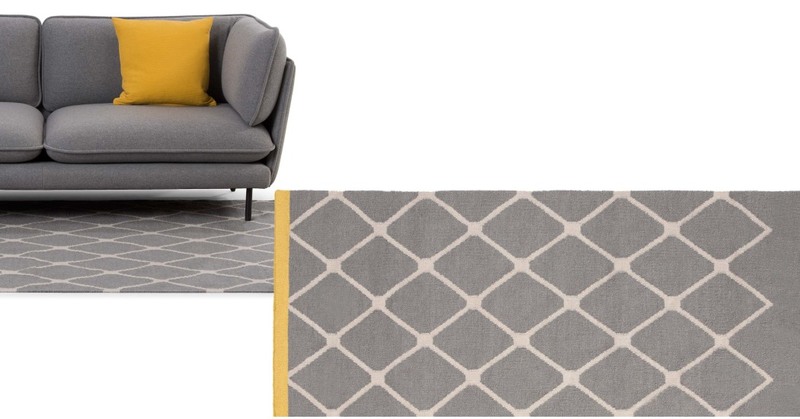 The light grey pattern keeps this rug looking sharp even in high-traffic areas.